Unified Communications (UC) can be viewed as another set of data and protocols utilizing IP networks. From a security perspective, it is very similar to other IP data services. 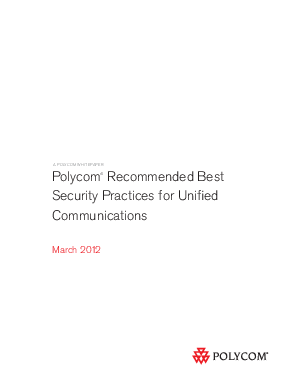 This document describes the security issues that organizations should consider as they deploy UC, and offers Polycom’s recommendations for implementing secured UC.